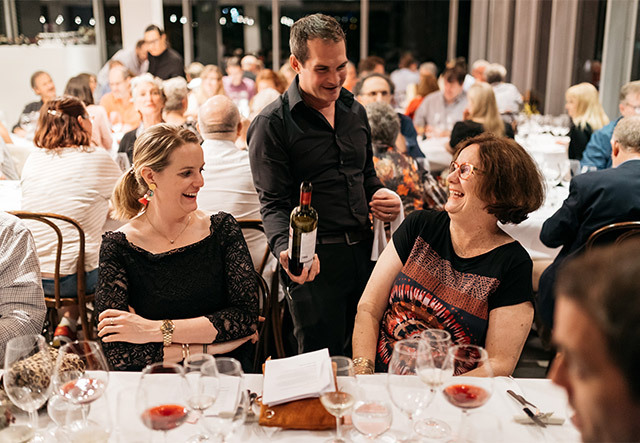 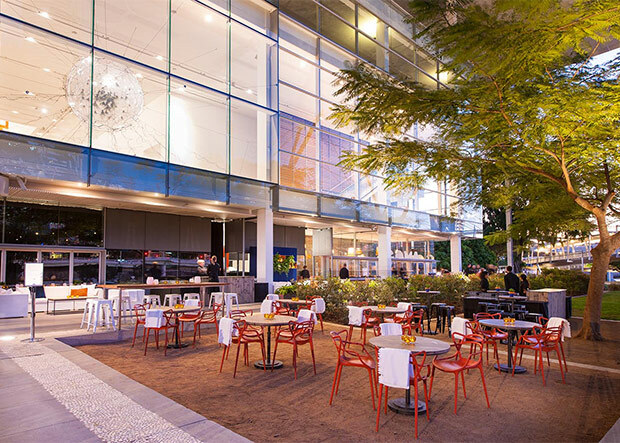 The Queensland Art Gallery | Gallery of Modern Art (QAGOMA) prepares and delivers restaurant and function catering in-house, focusing on locally sourced produce. 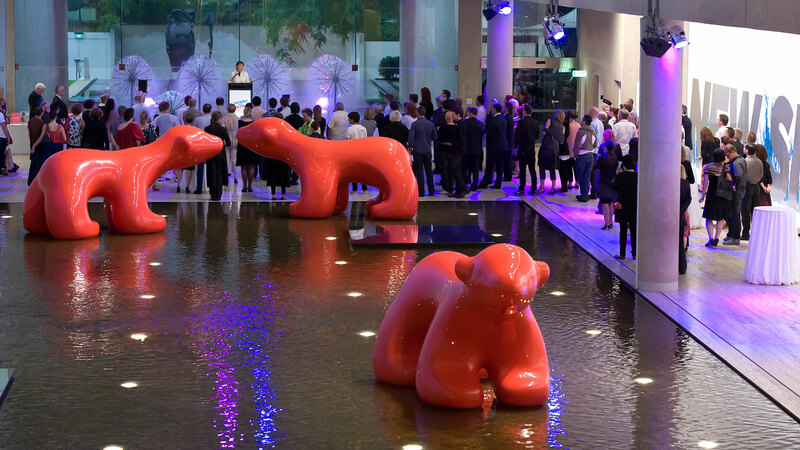 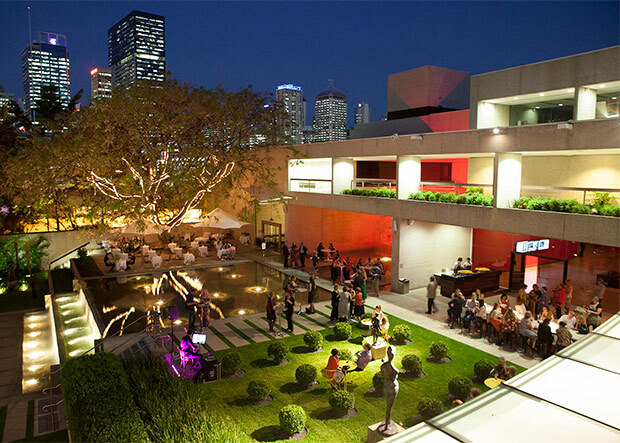 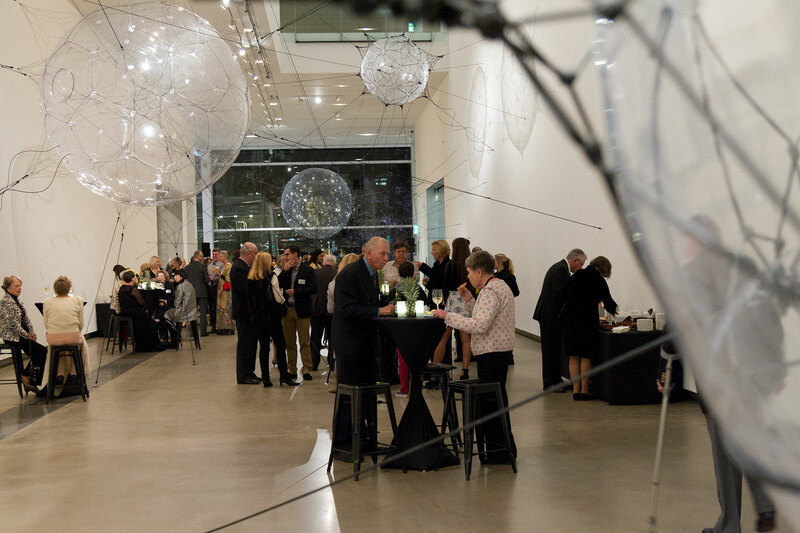 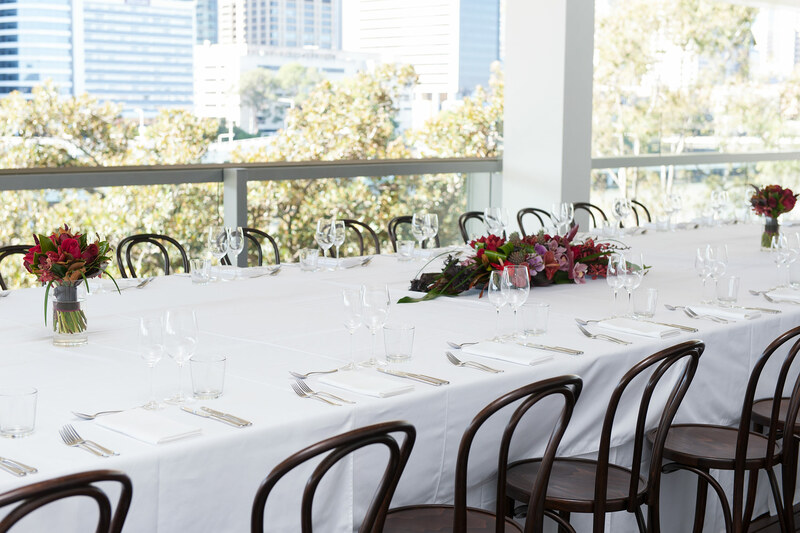 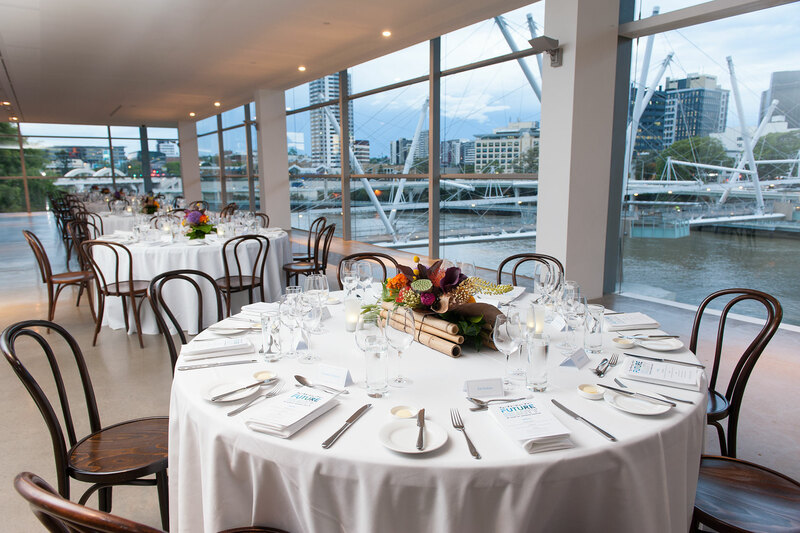 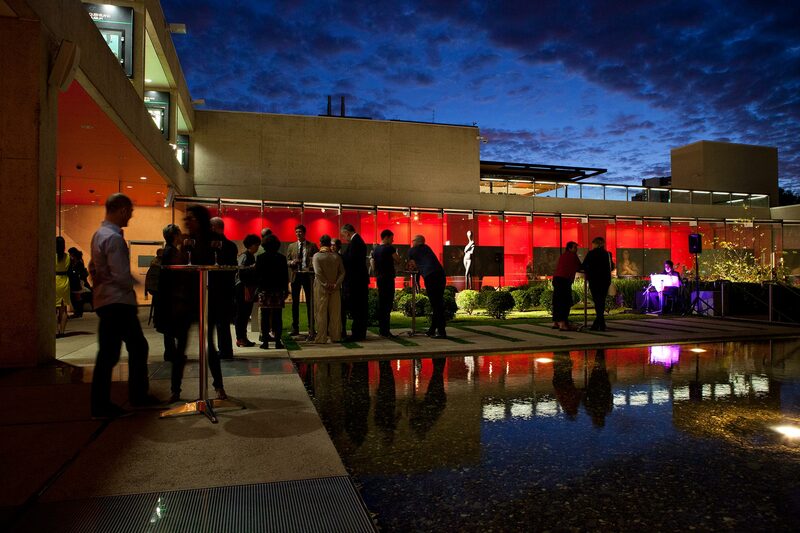 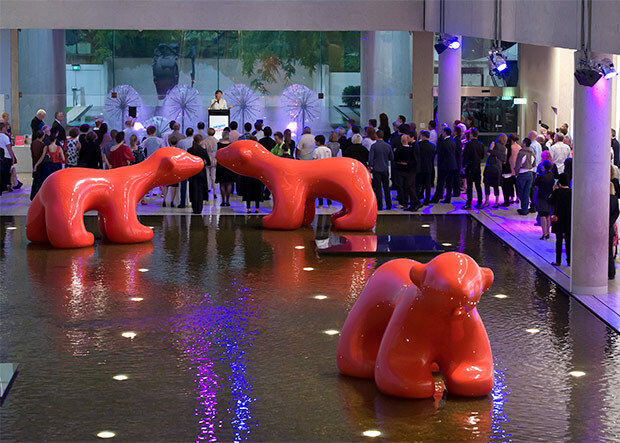 The Gallery was a venue of choice in Brisbane for events during the 2014 G20 Leaders' Summit, including a cocktail reception for 350 at GOMA, and the leaders' working dinner on the QAG Watermall. 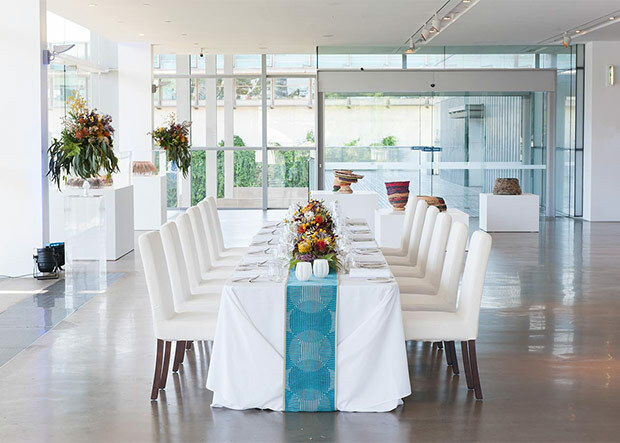 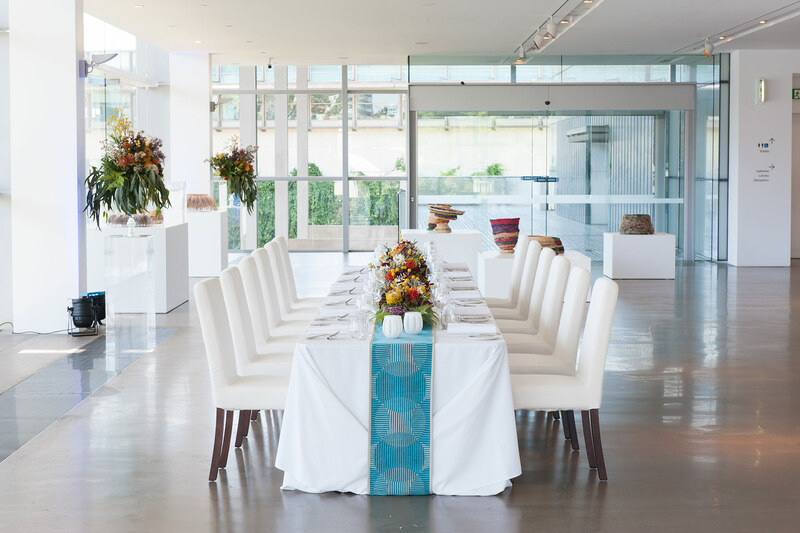 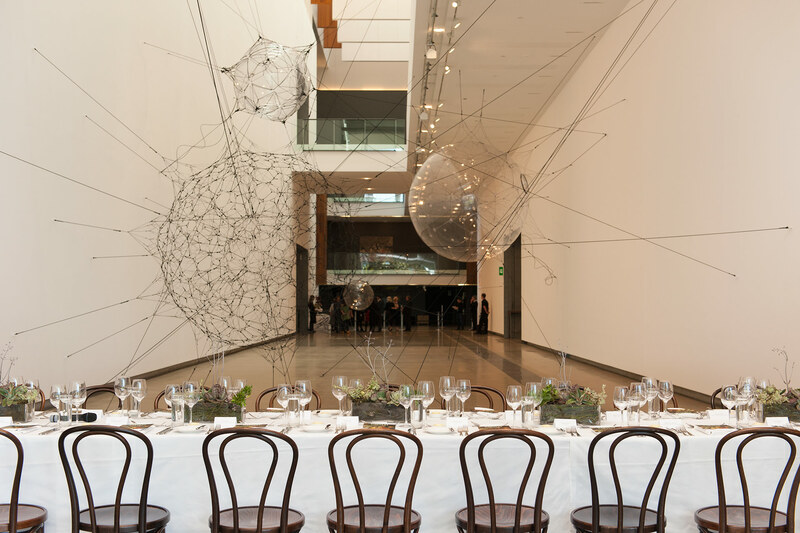 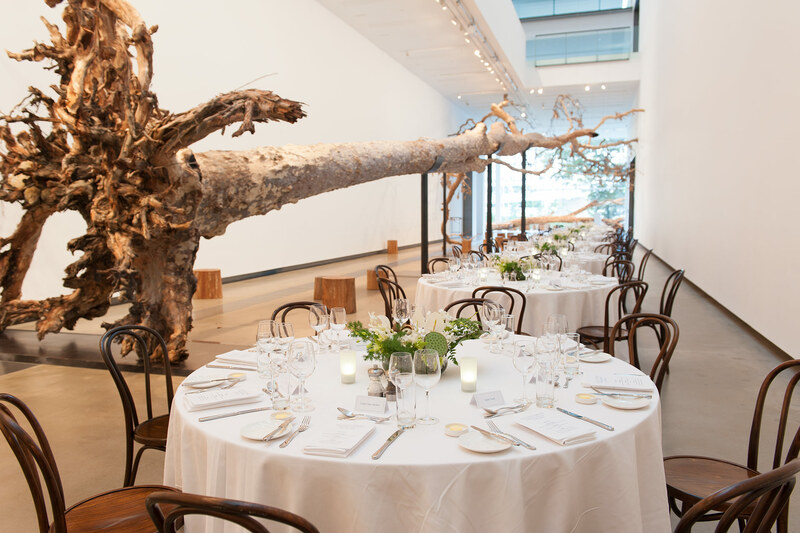 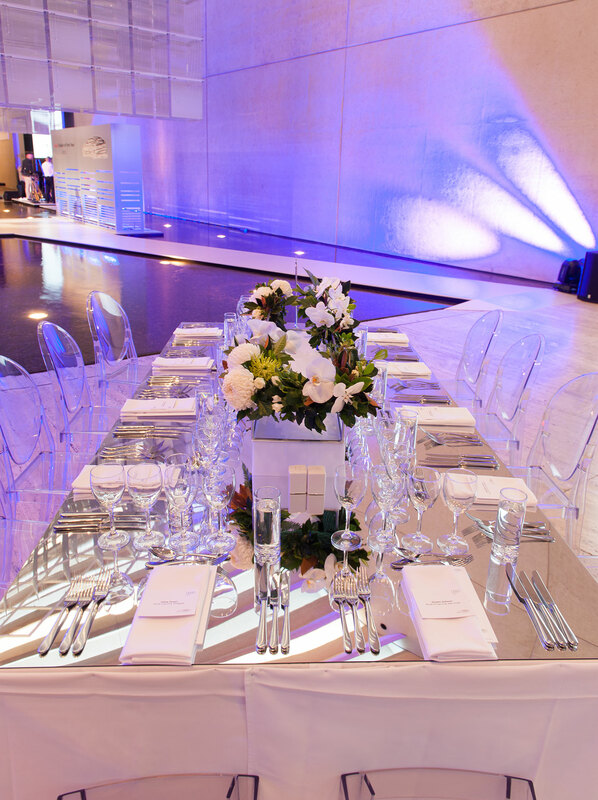 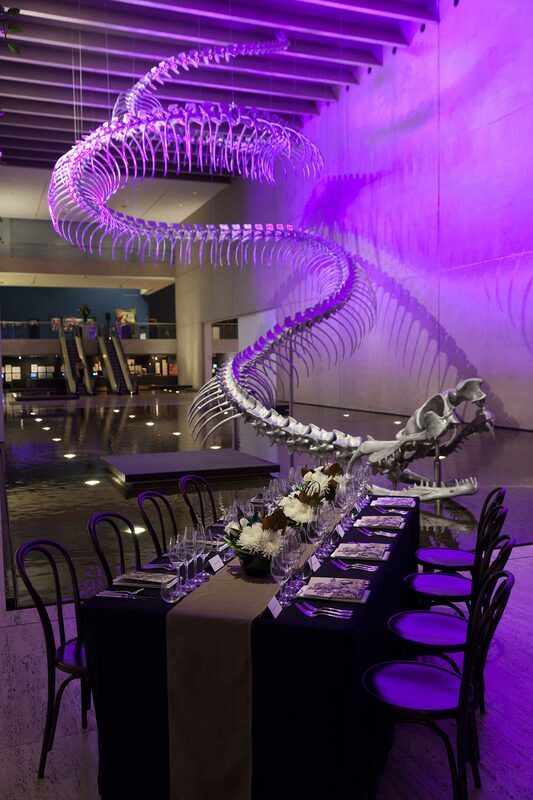 QAGOMA Catering is part of the Queensland Art Gallery | Gallery of Modern Art. 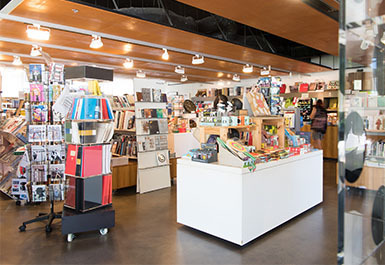 All purchases support QAGOMA. 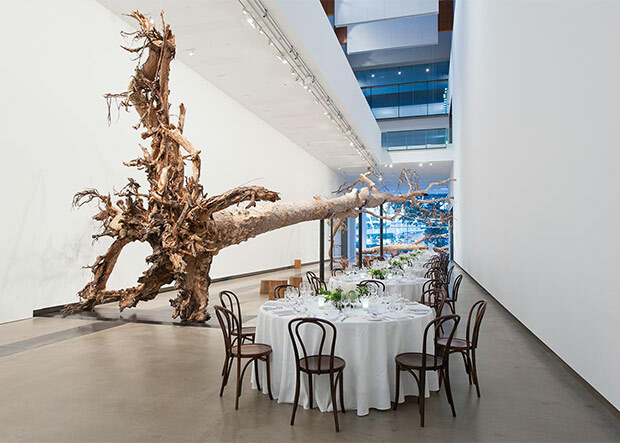 * Please note due to changing exhibition designs and configurations, the capacities for these spaces may vary depending on the current exhibition. 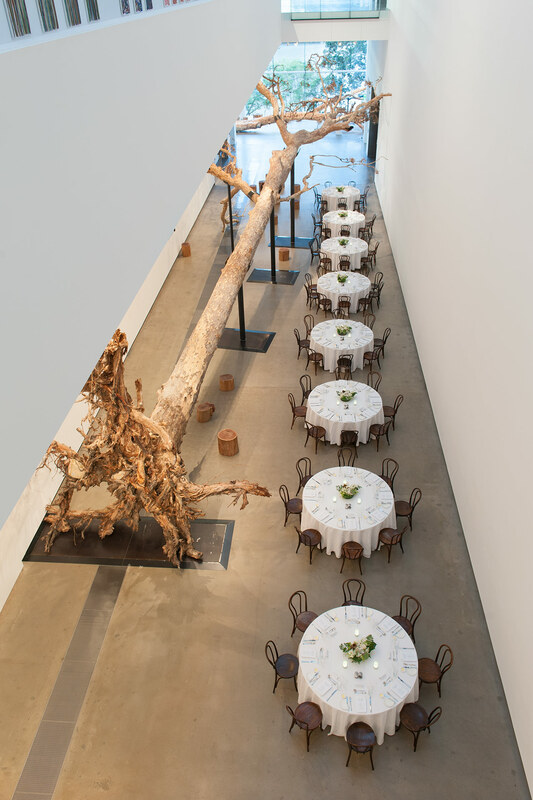 The Long Gallery is a unique and versatile event space with its towering ceiling and impressive display of contemporary art. 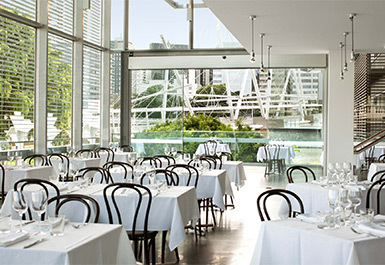 The River Room, situated at the end of the Long Gallery, features floor to ceiling glass windows which provide striking river views. 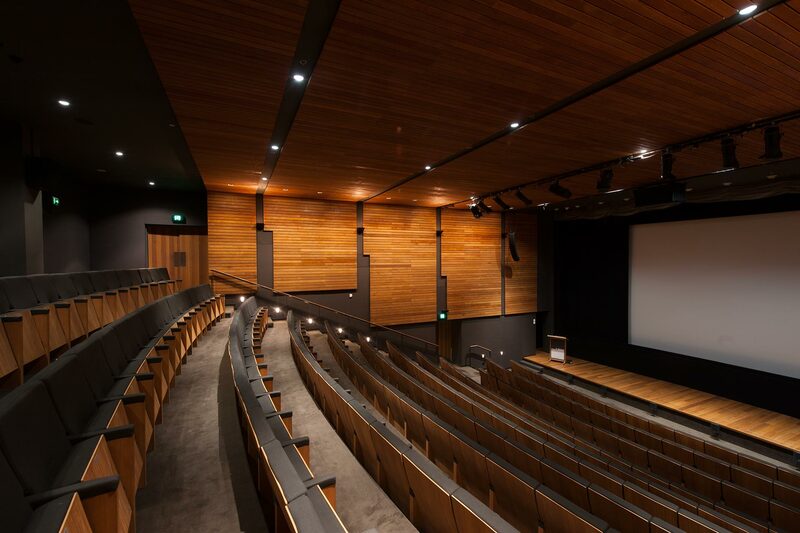 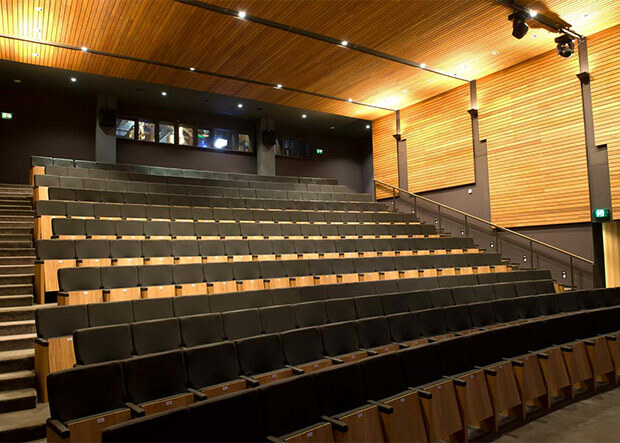 With its wood panelled interior, Cinema A offers a modern and stylish experience. 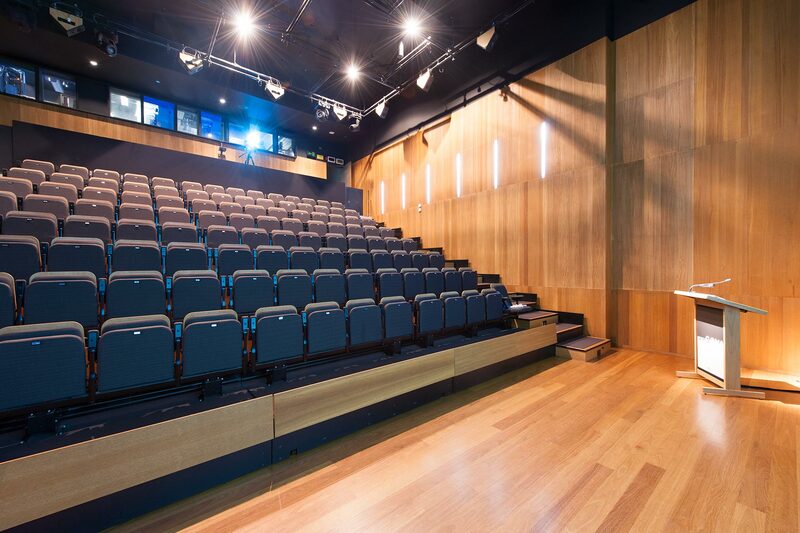 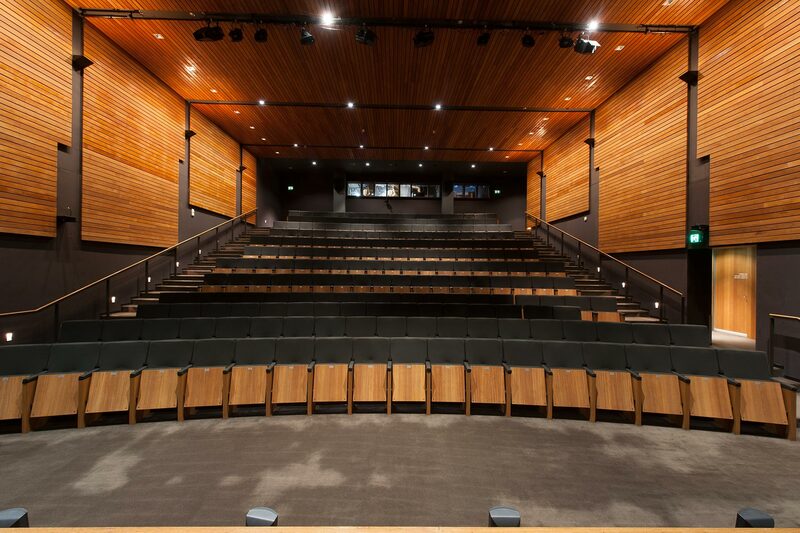 The venue offers the ultimate in viewing comfort and tiered seating. 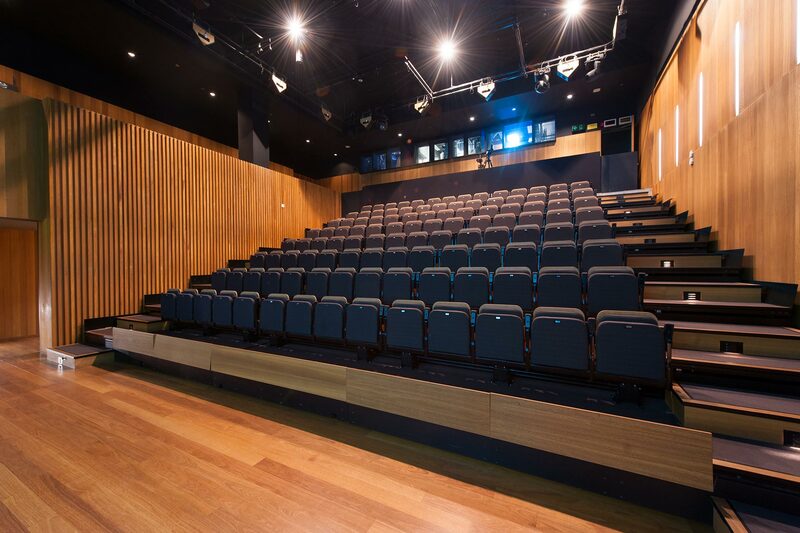 This state of the art cinema comes complete with multimedia facilities that will enhance any corporate event. 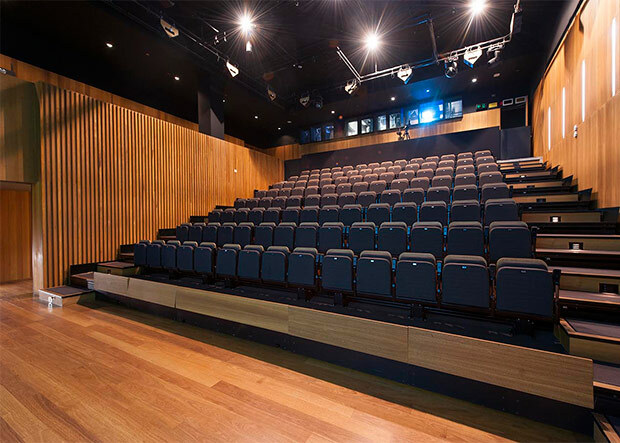 Cinema A is not available for commercial screenings. 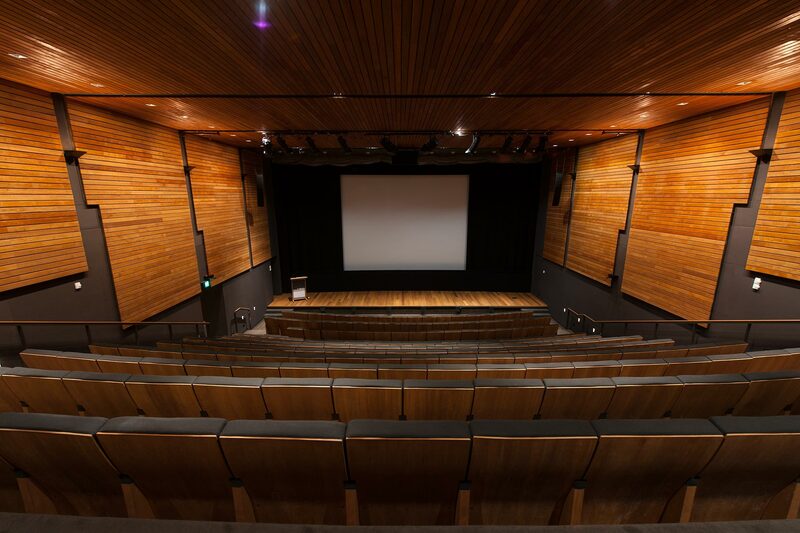 Please contact the Gallery’s Australian Cinémathèque department to discuss programming partnerships. 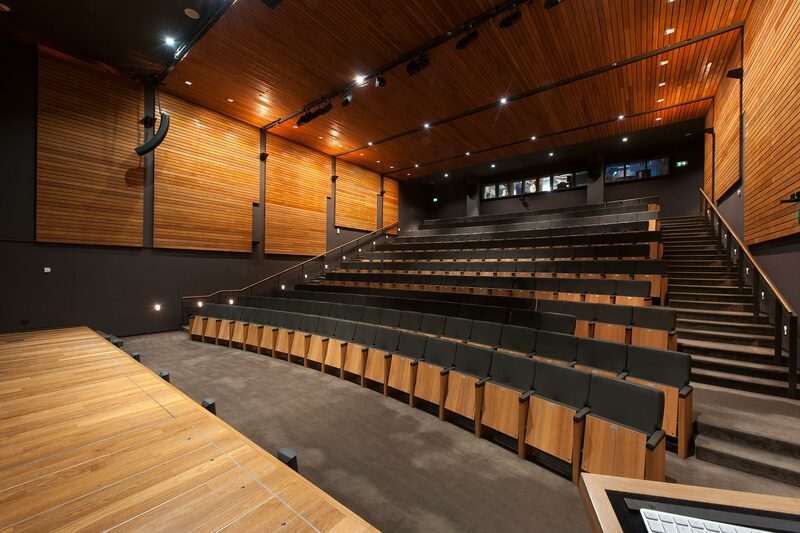 With a 13 metre wide projection screen and in house audio and lighting equipment, Cinema B is ideal for your next AGM, product launch or conference break-out space. 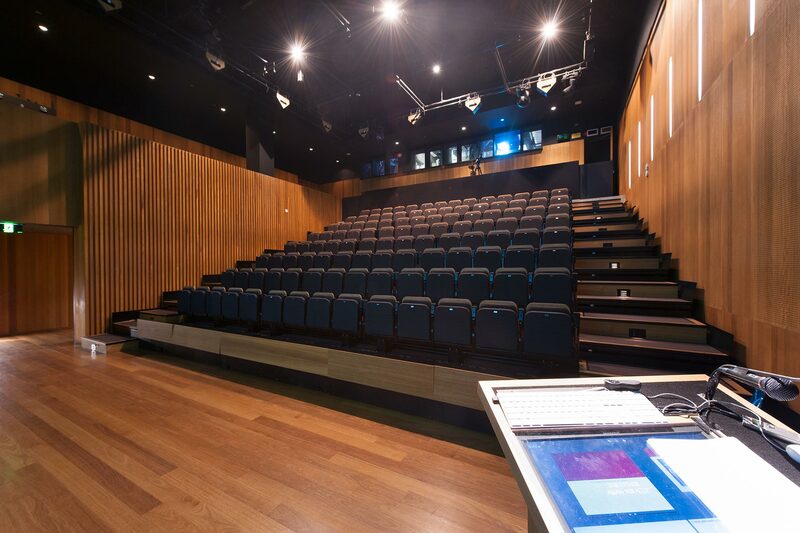 Mirroring Cinema A in design aesthetics, this is a distinctive presentation space. 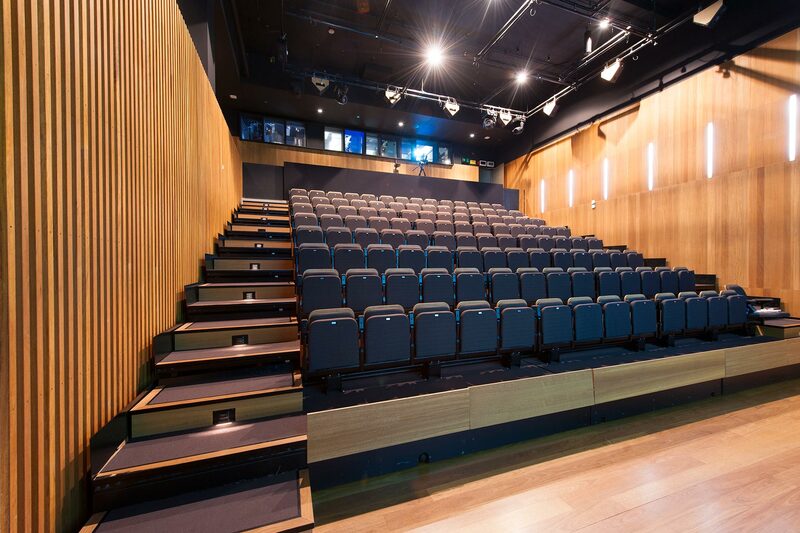 Cinema B is not available for commercial screenings. 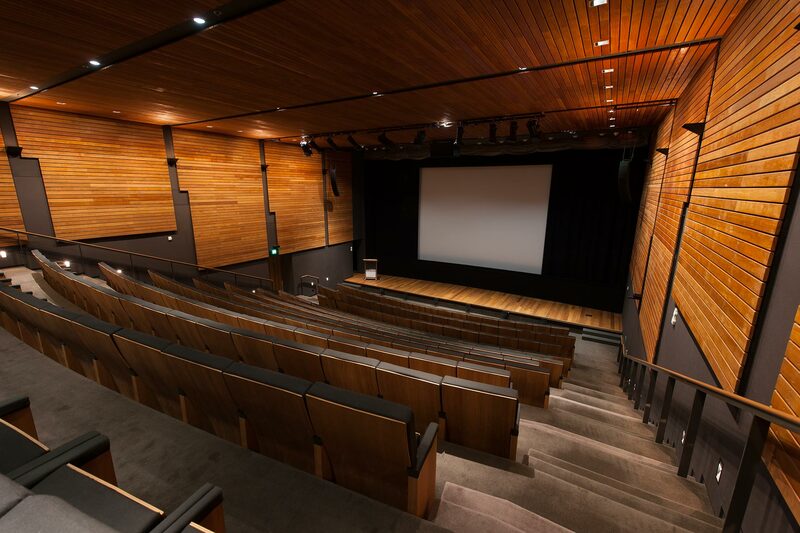 Please contact the Gallery’s Australian Cinémathèque department to discuss programming partnerships. 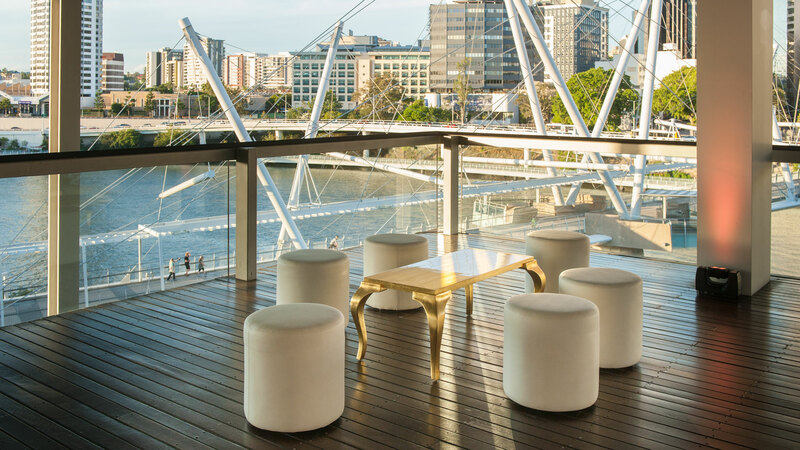 The River Lounge, located on level 3 of GOMA is a contemporary light filled space and offers stunning views of the Brisbane River and city. 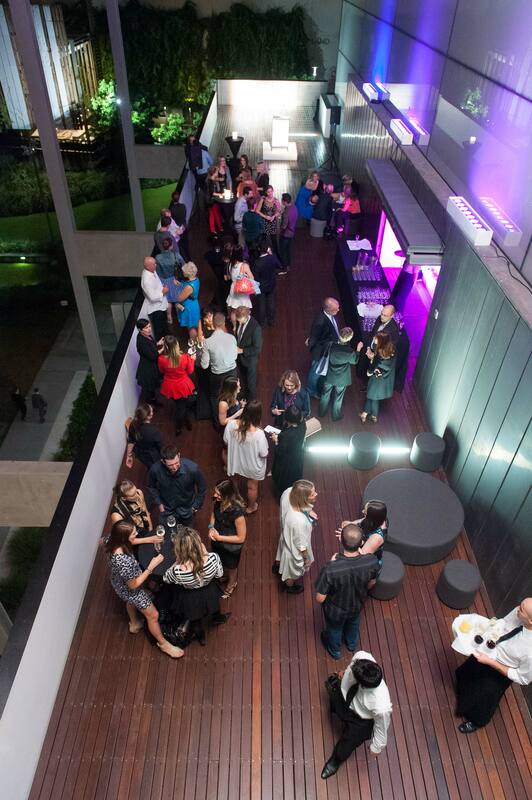 This space is completely covered by alfresco deck, ideal for your arrival drinks and canapés. 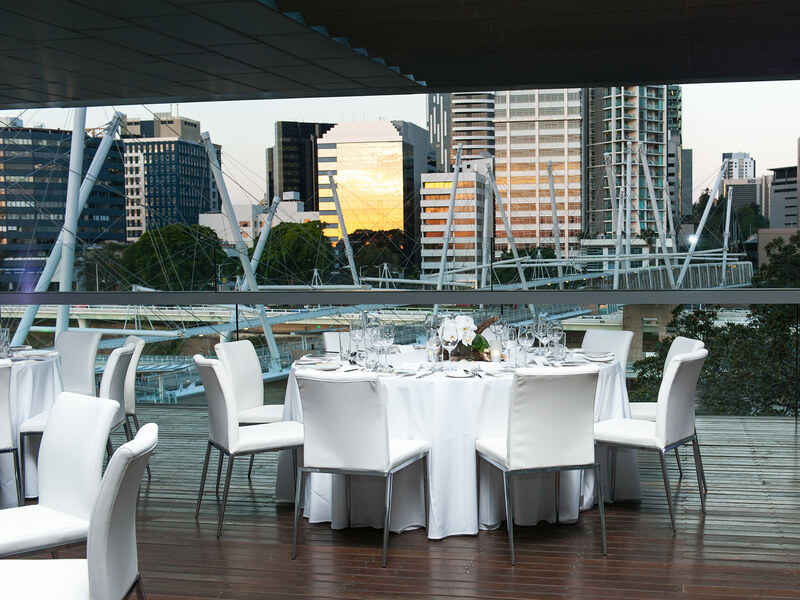 The Roof Terrace, located on level 4 of GOMA, boasts panoramic views of the city skyline, Brisbane River and Kurilpa bridge. 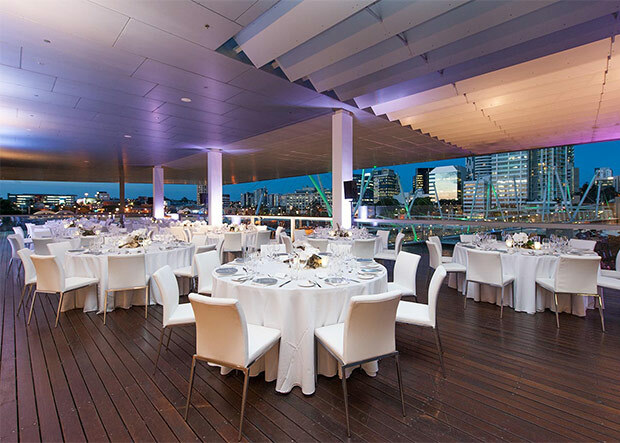 This unique open-aired venue with its large roof remains protected from the weather, while taking full advantage of the beautiful climate. 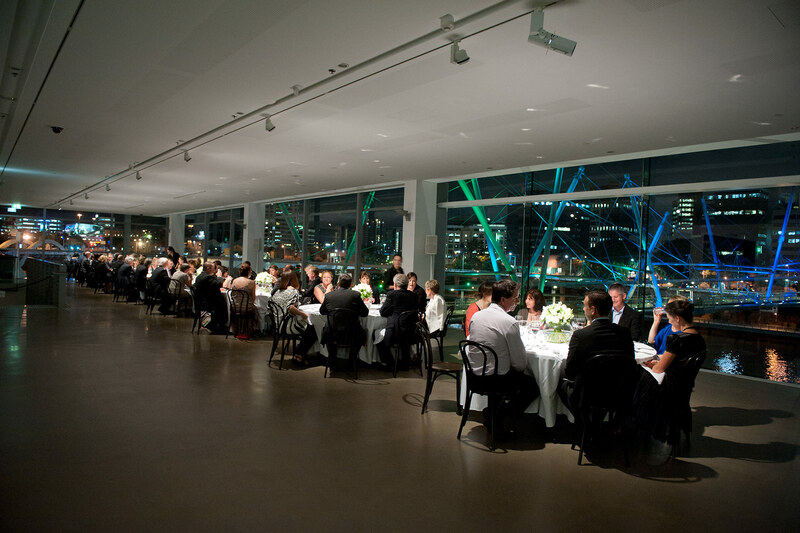 The perfect space for your next exclusive corporate event or wedding reception. 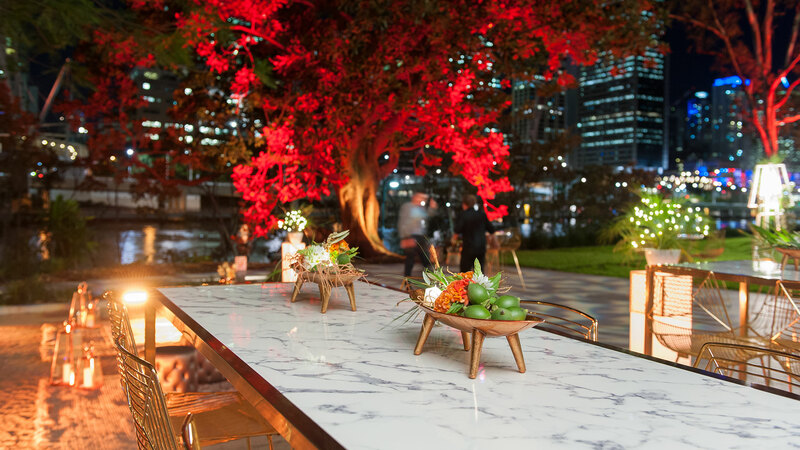 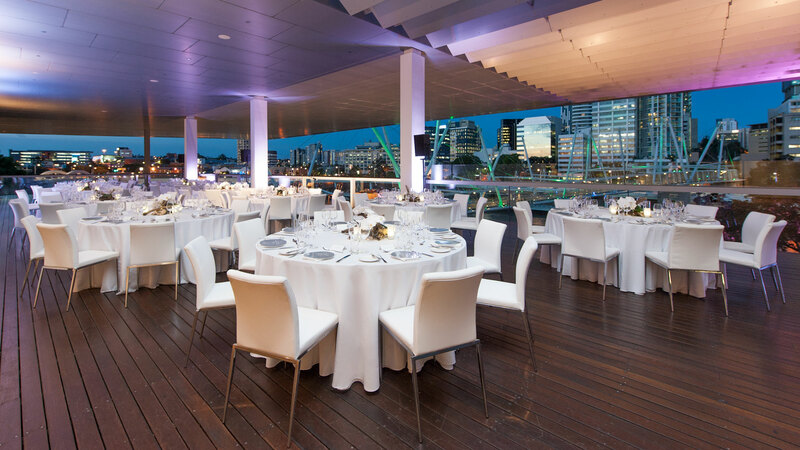 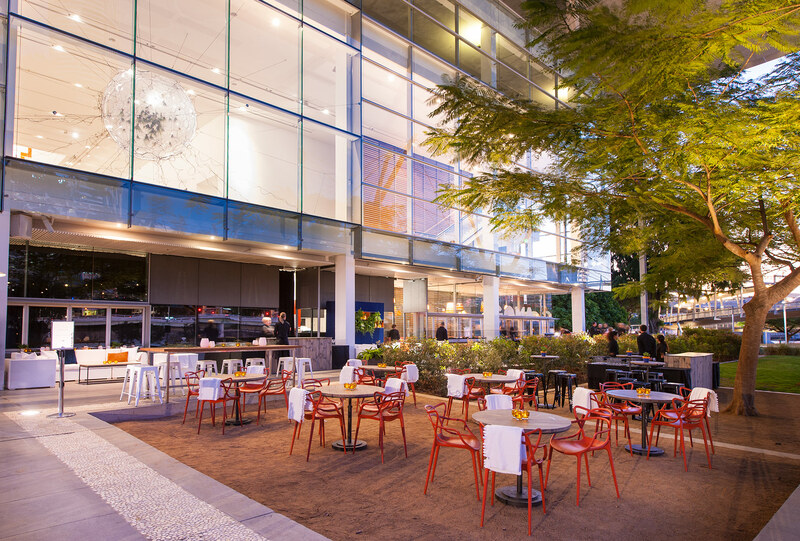 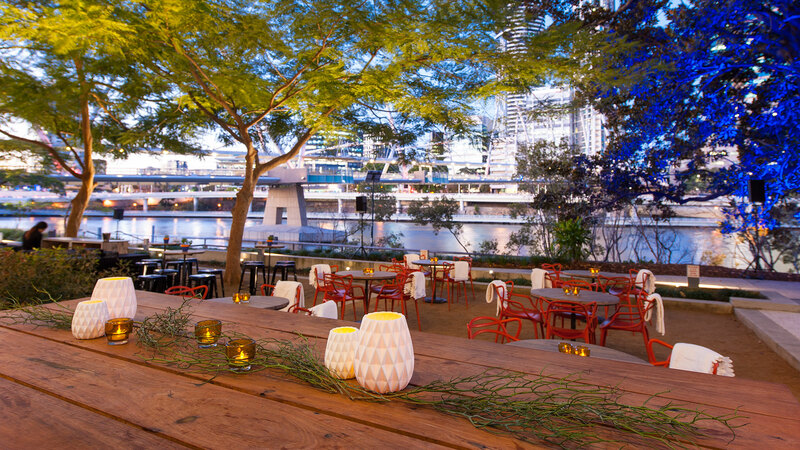 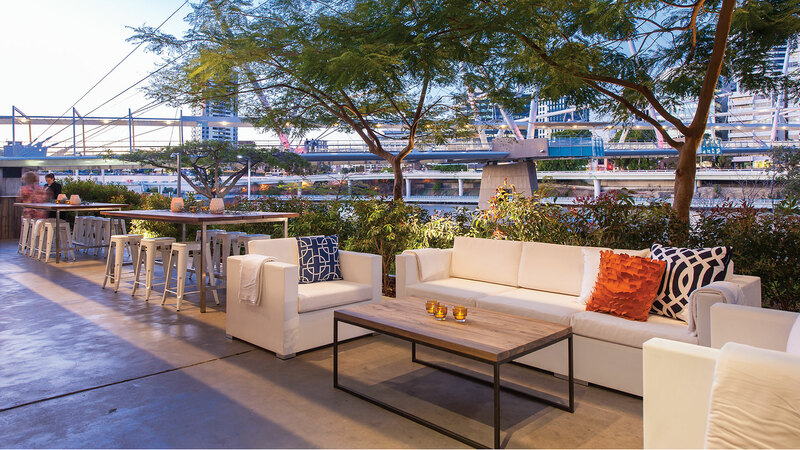 Boasting a genuine riverfront location, the GOMA Cafe Bistro offers a relaxed alfresco dining experience set amongst soaring Poinciana and Fig trees highlighted by Brisbane city lights and the award-winning Kurilpa Bridge. 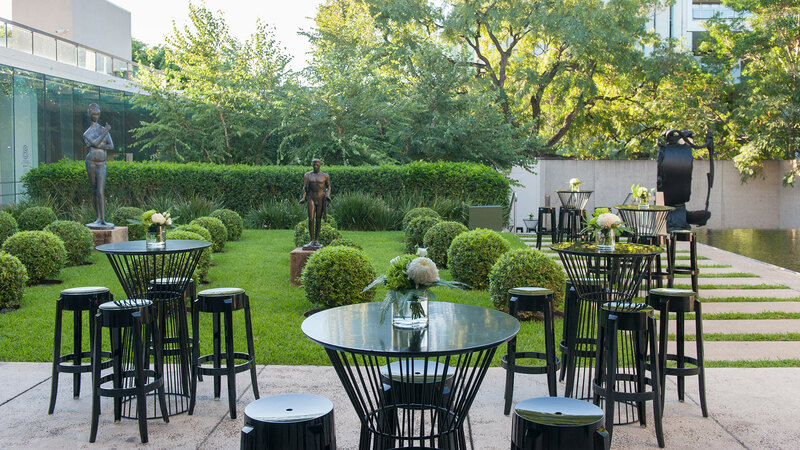 This is an ideal location for cocktail receptions or BBQ dinners. 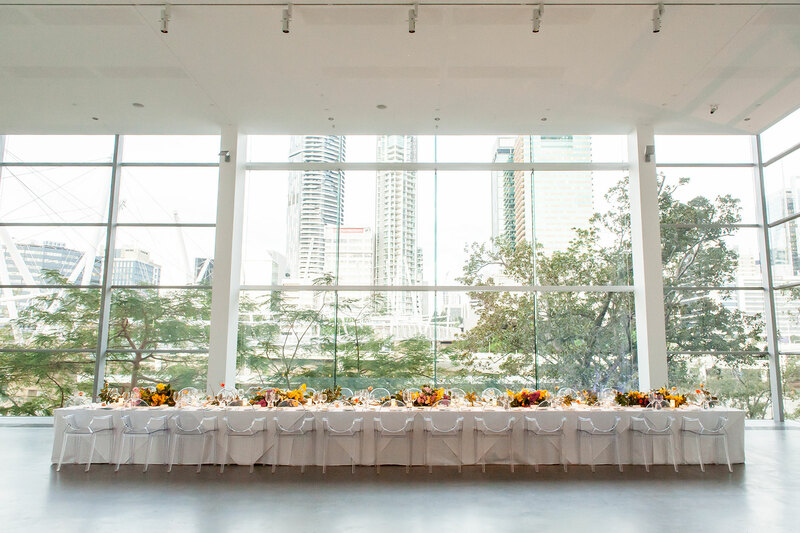 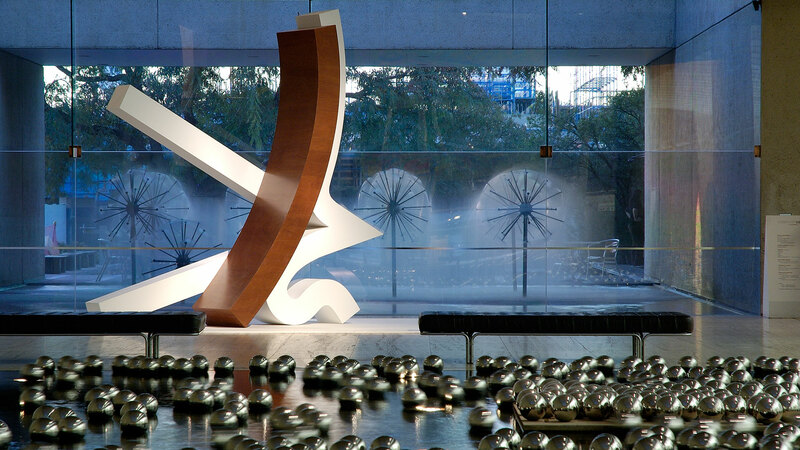 Surrounded by artworks from the galleries Australian and international collections, the Watermall is one of Brisbane's most prestigious indoor venues. 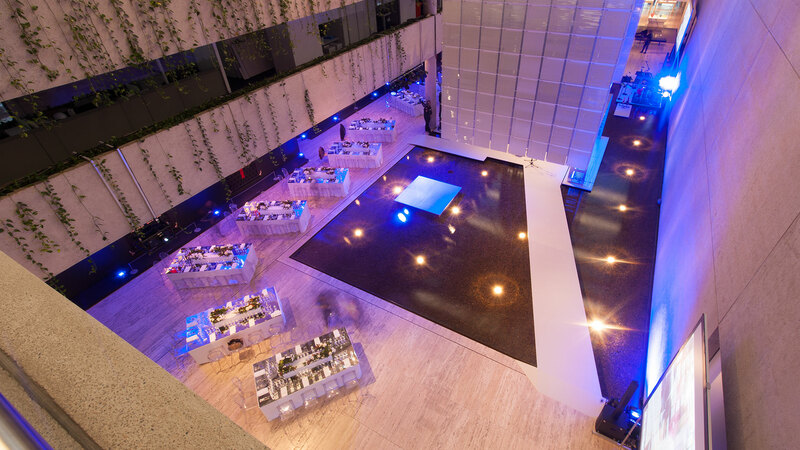 Its unique water feature is an acclaimed architectural aspect of the venue offering and exquisite event experience. 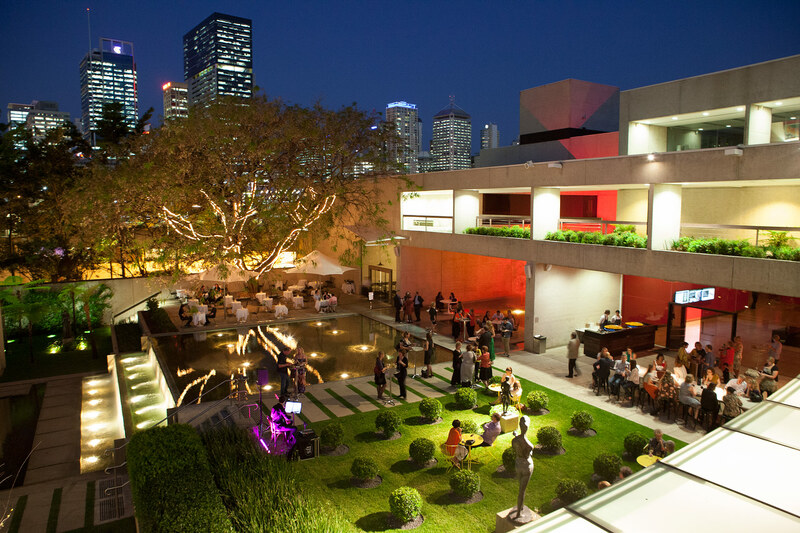 With two levels of manicured lawns, a drop fountain, stunning Dandelion water feature and impressive sculpture works by renowned Australian and international artists, this makes a stunning backdrop for a cocktail event or pre dinner drinks.